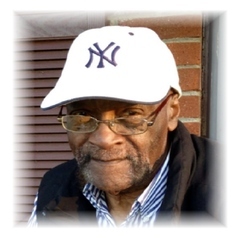 Deacon Julius "Duke" Reeves was born in Edgecombe County on May 30, 1926 to Mr. and Mrs. Lonnie and Mittie Reeves. He leaves behind one brother Leroy (Margie) Reeves,Sr. Two stephildren:Belinda Gardner of Danbury, CT and Walter Gardner, Jr. of Oxon Hill, Md. One sister-in-law Sallie King Dickerson of Louisville, KY. and a host of Nieces,Nephews,Cousins, Friends, Neighbors,and Relatives. Julius was a good man. Wish we could be there during this difficult time, however, always remember Revelation 21:4-5 KJV. And God shall wipe away all tears from their eyes; and there shall be no more death, neither sorrow, nor crying, neither shall there be any more pain: for the former things are passed away. And he that sat upon the throne said, Behold, I make all things new. And he said unto me, Write: for these words are true and faithful. To the Reees family: I am sorry to read of your loss. We are never prepared for the passing of our loved ones, and this is because we were not created to die. Our Creator created mankind to live forever. Soon God will return the earth back to a paradise and much asleep in death will be able to live on earth eternally. Please read in your Bible Ecclesiastes 3:11 and John 5:28-29 for comfort from God’s words.